Rider’s EMBA — where the key prerequisite is your ambition to be a better leader. 20 hours of individualized executive coaching. A fully immersive international experience, with travel. Engaging classroom experiences where you learn from both our graduate faculty and area business leaders. Our EMBA students are accomplished senior executives, brand managers, business development officers, doctors, engineers, analysts, systems administrators, lawyers and more. They share this common ambition: to make a real difference in their organizations. Rider holds dual AACSB accreditation in both Accounting and Business — a distinction held by less than 2% of all business schools worldwide. Get your MBA in just 14 months, with classes held 3 Saturdays per month that won’t impact your current work schedule. No prerequisites or additional business classes are required for the EMBA, regardless of your undergraduate major. Includes meals, fees, executive coaching and international seminar travel costs. Students purchase their own textbooks. Receive 20 hours of coaching tailored to your individual, professional needs for achieving success. Each EMBA class gets to experience an international seminar to discover unique business opportunities. Our program concludes with a course designed to integrate all previous portions’ coursework. Classes are held at Rider University in Lawrenceville, NJ and are easily accessible by car, bus or train. The Executive MBA program at Rider University provides you with the leadership and business skills necessary to take the next step in your career. Our accelerated program allows you to earn an Executive MBA in just 14 months. Classes are scheduled 3 Saturdays per month to allow you to continue with your current career and other week-night obligations. 3 Saturday classes per month that minimize interruptions to both work and family life. A Leadership Edge program that provides 20 hours of professional Executive Coaching for each student. Click here to learn more about Leadership Edge. A 9-12 day International Business Seminar that takes you to one or more countries for an immersive and informative learning experience (included in the cost of tuition). Classes are taught at Rider University’s conveniently-located campus in Lawrenceville, NJ. 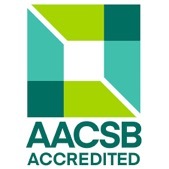 AACSB Accredited in both Accounting & Business. The Executive MBA program at Rider University really focuses on the big picture. It focuses on the human capital, it focuses on the business, and also professional development. AACSB Accreditation is earned by colleges that are able to achieve a rigorous set of quality standards. All colleges with AACSB Accreditation are held to the same high standards of quality and curriculum regardless of tuition cost, program length, class schedule or ranking. Rider University offers one of the most affordable Executive MBA programs that is dual AACSB Accredited. Maiden Reinsurance North America, Inc.
Are you a good fit for the Executive MBA program? Not sure? Send your resume to [email protected] and we'll let you know. Don’t have the required professional experience? 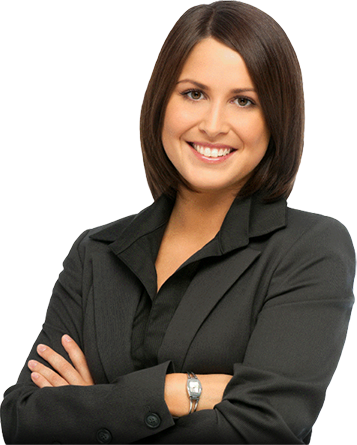 Learn about our other MBA options.